The Wilderness Experts Exchange Programme of the European Wilderness Society focuses on exchanging information among wilderness managers and wilderness advocates involved either professionally or volunteers to save European wilderness. It is our ambition, to facilitate the exchange of wilderness stewardship know-how and experience across Europe. The Wilderness Experts Exchange programme permits several Wilderness Stewards and Experts to visit other Wilderness in our European Wilderness Network and exchange the experience with other wilderness advocates and colleagues. Max A.E. Rossberg, Chairman of the European Wilderness Society. During the first week of October the European Wilderness Society provided an 8 days expert training program for vice-director of Zacharovanij kraj National Park, Ukraine – Vasil Mochan. Guided by Vlado Vancura, European Wilderness Society Director Wilderness Development, Vasil Mochan received the opportunity to experience first hand how the Kalkalpen Wilderness and Hohe Tauern Wilderness are managed. He was also given the opportunity to present his experience from wilderness management in the Ukraine and particularly in the Enchanted Land NP in Zakarpatie Region! Besides demanding field work (not always in good weather) this opportunity broadened Vasil Mochan´s already wide spectrum of wilderness management skills and techniques. Visited areas, likely the best managed wilderness in Central Europe, offered Vasil an insight into a wide scale of experience with wilderness management. 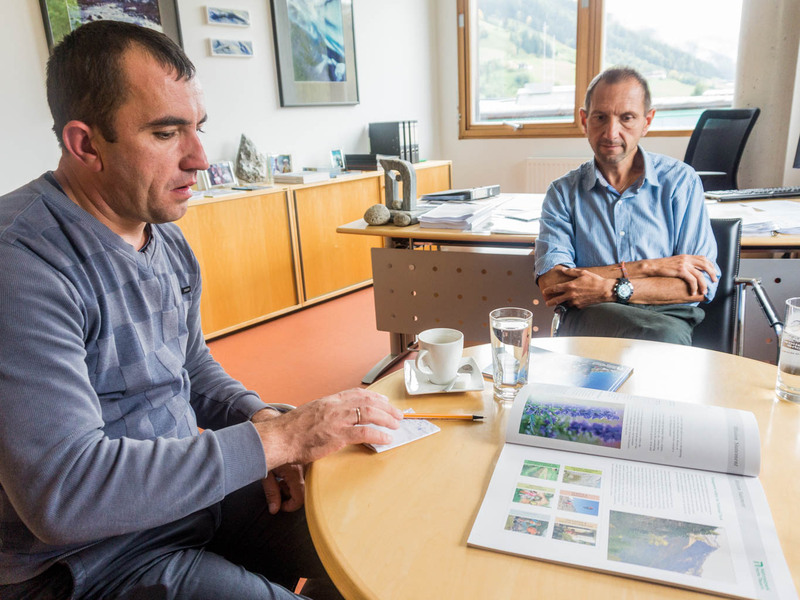 During an extensive meeting with the director of Hohe Tauern National Park, Wolfgang Urban they discussed the specific challenges on how to manage the glacier wilderness at the top of Europe (at the north slopes of peak Grossvenediger 3, 666 meter) in Hohe Tauern Wilderness. “It is likely that land ownership will become a very serious issue in our country in the coming years. On one side the current state owned model in my country was to my Austrian colleagues very surprising and deeply appreciated. Several park managers I have had opportunity to meet in the last week encouraged me to maintain this model if possible… On the other hand I have learned how it is possible to protect wilderness in a park where government owns a little bit or almost no piece of land. All pictures were taken in the Hohe Tauern Wilderness with its glaciers, the Kalkalpen Wilderness with its mixed and large beech forests.